BCBSA is looking to hire a Provincial Bobsleigh Coach to work out of Whistler for the upcoming season with potential for a longer contract. Starting salary is negotiable based on previous experience. Salary: TBD based on experience & contract duration. 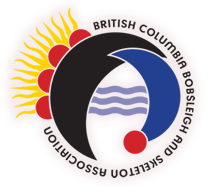 The British Columbia Bobsleigh & Skeleton Association is a non-profit organization and the provincial governing body for the sports of Bobsleigh and Skeleton in the province of British Columbia, Canada. Located in Whistler and reporting to the Executive Committee, the British Columbia Bobsleigh & Skeleton Association is seeking an outstanding Bobsleigh Coach who possess strong technical driving knowledge, excellent leadership qualities and exceptional organizational skills to continue building the Provincial Bobsleigh Program in B.C. at the Whistler Olympic track. Work with the Whistler Sport Legacies, Bobsleigh Sport Experience Program. Take a long-term approach to medal success and athlete development based on the BCS National Development and High Performance Strategy. Should no Targeted Bobsleigh Athletes be identified prior to the sliding season, primary focus will also include recruitment. Establish & maintain effective positive working relationships with BCS, Whistler Sport Legacies, BCBSA, CSI-P and other key stakeholders. Sport Experience Program (SEP) driver development coaching. Work with the SEP Program Coordinator to establish training criteria for future development of SEP drivers for the WSC and help in the preparation of a season end report. General sled maintenance for the SEP sleds. Criteria stipulated in the BC Safety Guidelines. Keep abreast of world leading practices in talent identification, coaching, training techniques and equipment technology. Develop the BC Bobsleigh Targeted IPS report. Maintain a high-level of accuracy, timeliness and confidentiality at all times in all work. Create and maintain accurate budgeting reports. Such other duties as may be required by the BCBSA Executive committee and/or designate. Registered Coach with Coaches of Canada, working towards the Chartered Professional coach (ChPC) designation. Conditions: Contract, Full-time, Year-Round. Variable days and hours. Probationary Period: All roles are subject to a 3 month probationary period.